What a romantic term. When you see this anywhere, the image associated with it is usually red and blue fiery humans entwined in some sort of lovers embrace. This is because a heart chakra opening is almost always associated with the emotional response of love. That is understandable, most of us experience this feeling for the first time when we are attracted to another person romantically. As your journey of awakening continues however you begin to understand that the heart chakra responds in this manner to the energy of unity consciousness. Intense love for another is collectivity in action, even if there are only two comprising the collective. A heart chakra opening is the beginning of collective consciousness and a prerequisite of fourth density. Fourth density begins the lessons of the power of the collective and you cannot do that without the ability to absorb and transmit the energy of unity. 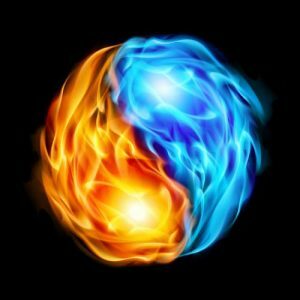 There is a reason so many people are talking about their twin flames now and that reason is the ascension into fourth density. Merging with the other half of your consciousness is one of the first lessons of fourth density collectivity. I am watching the articles appear and as people are excited to talk about finding the other half of themselves. Go out and look for yourselves and what you will see are stories of unity, of increasing power, of completeness, of coming home. This is the welcome mat of fourth density and this connection is just a sampling of what is coming. It is conditioning you for the power and connection that you will have with every other consciousness once you immerse yourself in the new collective. Like slowly getting into a cold pool, you are acclimating yourself before you start swimming. How will you know when you meet the other half of you? If you are ready, how can you not know? It will be like looking into a mirror, quite literally. This is because they will contain all that you are, and all that you are not. If you look hard enough you can almost see through their eyes. When you do meet for the last time you can be sure that you will be on similar paths. Your consciousnesses must be operating at sympathetic resonant frequencies or you will not be able to balance the rotations for merging. You can read about the results of unbalanced attempts elsewhere. Duality and polarity are often lumped together but they are separate concepts that work using different principles to affect consciousness. Polarity is ending everywhere, forever. Duality is a wonderful tool that teaches collectivity and it will remain as consciousness continues to ascend through it.